To many western travellers, Lhasa conjures misty visions of lost Himalayan kingdoms, hidden Buddhist hermitages and breathtaking mountain vistas. While the former is slowly losing its old-world charms to new construction projects, thankfully the latter remains as majestic as ever. Since time immemorial, an ancient trail has guided nomadic herdsmen and pilgrims across the mountains and valleys on their way from the Ganden monastery complex to the town of Samye. Over 4 days, this itinerary will explain how to get onto this trail, what to expect, and the safety precautions of trekking in high altitude in a remote area like this. Barring discomfort from the altitude, it’s easy enough to visit Tibet and explore the ancient city and its warren of alleys and brick buildings. But getting on a trek outside the safe confines of Lhasa is entirely different. Here, weather changes are fast and potentially deadly if you are caught unprepared, and trails may disappear into a boulder field or a sprawling grassy madow that extends for miles in all directions. The first step is preparing yourself mentally for the rigours of trekking at high altitudes. On the Ganden – Samye trek, a day’s trek may last for 10 hours and cover over 20 kilometers of rough terrain. It’s not an easy walk in the park, and coupled with the thin air, you will be challenged physically. Bear that in mind before committing to a tour package. Squint and you can see the red speck of leading trekker. The scale of the distances here is massive. This leads on to the next requirement – you’ll need to engage the services of a licensed tour guide wherever you go in Lhasa. In line with strict security rules, all foreigners are to be escorted around within Tibet, and need to have a valid Chinese visa and Tibet travel permit. The authorities do let foreigners roam around Lhasa quite freely though, although entrance into the Potala Palace and other ticketed monasteries is only permitted with a guide. It’s advisable to maintain a reasonable level of fitness before setting off on a Himalayan trek. While you should take it easy and not over-exert yourself, the risk of walking on a rough trail is exponentially increased when darkness falls. The camps that run along the Ganden-Samye route are located within a day’s trek for for most tourist, but you’ll still need to make sure you can maintain a reasonable pace. As a rough gauge, stopping for a 5-minute breather every 10 minutes will still get you to the campsite in time for dinner. Here are some activities that can get you in decent shape for a mountain trek in the Himalayas. It’s advisable to pack light for the trek, but do bring the essentials that will help you survive against the elements. As the trek can get depressingly lonely or frustrating at time, packing some chocolates or comfort food is also highly recommended. Pack enough, but too much. The yaks have their limits too, you know. Use this packing list as a starter guide to pack for a Himalayan trek. With power generation and water supply, I’m a walkin’, talkin’ utilities company. As your tour guide will be with you throughout your time in Tibet, it is important to engage the right travel agency. With numerous operators offering similar itineraries, it’s hard to pin down a reliable and well-regarded company. I found Tibet Vista after extensive research, and their package is among the most fairly priced among all the others. They have an office based in Lhasa (Jia Cuo NO3-070 Beijing Xi Lu), and another located out of Chengdu, so I was less apprehensive compared to engaging an agency based in Kathmandu or anywhere else outside Lhasa. My assigned agent, Chloe, helped handle the logistics for the registration and delivery of the Tibet travel permit, and carried it out without a hitch. She was also a wealth of information early on, when I was trying to find ways to reduce the number of yaks and food catered for the trek. In hindsight, I can only advise not to save that couple of hundred dollars – having hot cooked food and a lighter load is worth far more than that. During the trek, my guide Lhakpa is a true professional and a jovial fella that lightens the mood during the most arduous parts of the trek, and at the campsite towards the end of the day. He cooks a mean dinner and ensures there’s plenty of food and water to go around throughout the trek. Now here’s a picture of him sprinting across a mountain pass at 5,200m. Man… he’s amazing. Our hardy yak herders, who accompanied and endured us for 4 days with a constant smile. As always, do some homework before settling on your tour company. I’ve tested Tibet Vista and they have delivered on their promise of an adventure of a lifetime. I’ll recommend them without a doubt, and you can use them as a starting point for your own research. It’s important to keep hydrated and well-fed during the trek. Covering miles and miles of rocky terrain and steep slopes at energy-sapping heights is tough, and you need to consume a regular diet of protein and carbohydrates to keep your body going strong. Lhakpa, my guide, is capable of whipping up a 5-course feast on short notice, with limited ingredients and a makeshift kitchen. It’s absolutely tasty though, since he lugs along a pressure cooker, a wok, gas stove, cooking oil, spices, salt and other ingredients that would put many restaurants to shame. Plain biscuits and peanuts. The biscuits keep your stool hard, I guess. And NO, I did not literally feel my stool okay? The split second where the food is unveiled, and before everyone digs in with gusto! Dinnertime is also the best time for trekkers to mingle around and socialise, before darkness falls and everyone retires early to their tents. It’s a simple lifestyle out in the mountains, and you may miss your daily grande mocha latte, but you’ll learn to appreciate this soon after you get back to dining on bland restaurant heaped with sodium and sugar. As this is a trek in the wilderness, there will be no toilet facilities anywhere along the way. If you’re shy, you’ll need to do your business far away from prying eyes by hiding behind boulders, small hills or the occasional bushy plant. If you’re a naturalist who doesn’t mind flaunting it for the world to see… well, make an effort to be discreet anyways. It makes for less awkward mealtimes with your guides and trekking companions, and everyone can pretend to each other that they don’t actually need to go pee-pee and poo-poo. After the first two days of acclimatisation and monastery-hopping in Lhasa, it’s time to start the trek. Some operators drive up to the Ganden monastery to begin the trek, if you’re on a longer trek. To save time on the 4-day trek, you’ll be taken to a small village 30 minutes away where the yak herders live. While your guide negotiates and manages the loading of the supplies and baggage, you’ll be invited to start walking. Rest assured, any headstart you think you have will be gone in short notice, once the yak train sets off. The trek starts off rather uneventfully, as you follow a paved road down, and turn off into a dirt trail. From here, the trail leads up into the mountains with a noticeable upward incline. Along the way, you will pass by a couple of single-storied houses where the local herders live with their yaks. If you’re leading the pack, you might be invited for a cup of butter tea while waiting for the rest to catch up. Life in the mountains may be harsh at times, but the locals are among the friendliest people around. You might feel your energy sapping away as breathing gets harder with the increasing altitude. Take it easy at the start and climb at your own pace, for the first day’s trek is relatively short and there is enough buffer to fit in rest stops on the way to the campsite. For most people, this means a 5-hour trek, after which you cross a small stream and reach a flat grassy area with a million-dollar view. Take photos sparingly though, for there’ll be many more vistas in the coming days. Start the day early on the second day, as you gobble down dry biscuits, stale bread and omelette for breakfast. Generally, dinner is cooked fresh while breakfast and lunch consist of prepared items like sandwiches, fruits and cooked eggs. If the altitude is suppressing your appetite or the quality of food is hard to bear, force it down nonetheless. On this second day, you’ll need all the energy you can muster to make it up to the 5,250m-high Shuga-la pass, and then down the stunning Tsotup-chu valley (4,880m). Over the 10 hours of trekking, you’ll cover 20km of boulder fields, marshy meadows and a memorable stretch of dirt trail hugging along the side of a mountain. It’s not for the faint of heart and you’ll be pushed to your physical limits, but the views are more than worth the effort many times over. A note of caution though, if you wander off from the main trekking group. The valley is home to several farms which are guarded by massive Tibetan mastiffs. These ferocious dogs are among the most loyal and aggressive breeds, and are very territorial animals. If you hear their barking from afar, plot a path to skirt around them, or arm yourself with a handy stick or trekking pole to fend off any potential attacks. The campsite for the night is a sheltered meadow hidden behind several small hills, and fed by a small stream bringing in fresh glacier water. A stone barrier marks the boundary of the campsite, and don’t be surprised if herds of yaks trod past the campsite in the evening. With the altitude just below 5,000m, the nighttime temperature will plummet quickly, so dress warmly once you make camp. After the tough second day, wake up to one more day of long-distance trekking. For most people, the toughest part has passed, and Day 3 is one for taking photos and enjoying the scenery. After breaking camp, head towards the Chitu-la pass, which is a lot easier to climb over compared to Shuga-la the previous day. Nevertheless, altitude sickness is still a real threat here, so drink loads of water and walk at a comfortable pace. The first stretch to the pass crosses a wide expanse of lush green meadow. While it looks flat from far, it is more accurately described as a bumpy landscape interspersed by boulder fields. If you’re a breakfast person, think of it more as a lumpy bowl of muesli with milk, rather than the smooth surface of a pancake. This, of course, makes it tiring to hop over small rocks and cross holes in the ground, so expend your energy wisely. From the Chitu-la pass, you’ll need to slowly scramble down a sheer rock wall carefully. Loose gravel and slippery rocks make it especially dangerous, so use a trekking pole for balance if possible. At the bottom of the rock wall, you’ll reach the shores of a basin with three small lakes. According to local folklore, these are sacred lakes that demand respect. Excessive noise will anger the spirits, who will bring in clouds and rain. You have been warned, so tread lightly and quickly over to the edge of the mountain in the distance, which is still a good 1 hour trek away. If you’re making good time, this area offers one of the best vantage spots in the whole journey, and is an ideal spot for a lunch break with million-dollar views of a deep, vast valley and a serene lake on opposing sides. From here, the trail snakes down the mountains and into the forests of the lower reaches of the valley. From here to the herder’s valley campsite, it’s a 1,000m drop in altitude that will take around 6 hours to (carefully) navigate the gravel-strewn path. After 2 nights in the high-altitude plains of the Tibetan plateau, you’re now in the more hospitable zone where massive mountains block howling winds and trees provide plenty of cover for doing the pee-pee and poo-poo business. The last part of the day’s trek is an easy walk through the herder’s valley. Mud tracks with tyre tracks hint that of human civilisation, and you’ll pass several houses inhabited by Tibetan families and their fearsome mastiffs. As always, walk quickly through these areas and avoid eye-contact with the dogs. With a good pace, you’ll reach the campsite by late afternoon, and your guide might even have time to gather firewood and prepare a campfire. At last, the final day of the Ganden-Samye trek has arrived. After 3 days of camping, some trekkers might already be at their breaking point. Thankfully, the day starts off with a short 3-4 hour easy trek on a flat dirt trail along the Yarlung Tsangpo Valley. The destination is the Yamalung village, famed for a Buddhist hermitage build into the side of the mountain high above the valley floor. After a well-deserved break in the neighbourhood grocery shop, a van will shuttle you to Samye, marking the end of the trek as you return to the urban world of shops, restaurants and showers. The final stop for the trek, Samye Monastery, is reached a lot faster on wheels. So yeah, we cheated a bit. Awww c’mon! Once plundered by the Spanish for its rich resources, modern Bolivia is an exciting destination for travellers. Explore the salt flats of Uyuni, take on the Death Road, or enter the working mines of Potosi – you’ll find surprises in every place you visit! Tucked in the southwestern corner of Bolivia lies the vast salt plains of Uyuni and the high altitude Siloli Desert. Starting out from the small town of Uyuni, tour companies embark on overnight tours to as far as the border of Argentina. This itinerary highlights what to expect on a 3-day drive, covering the Uyuni Salt Flats, multi-coloured lakes, and an unforgettable soak in natural hot springs under a starry night. How do I get to Uyuni town? The easiest way to get into Uyuni is on the overnight bus from La Paz. While local buses offer the cheapest fares, the ride is generally uncomfortable and you’ll need to transfer to another bus at Oruro. For a non-stop ride in air-conditioned comfort, book a seat on a tourist bus (e.g. Todo Turismo, 250 Bolivars, 9pm departure, or local companies like Panasur or Trans Omar) The bus will reach Uyuni bright and early before 7am, which leaves plenty of time to find your tour agency’s office, settle down, and grab some breakfast before setting off. Alternatively, buses depart from Sucre and Potosi. The Sucre-Uyuni service runs regularly and takes between 2.5 to 3 hours each way. From Potosi, five scheduled buses make the 5-hour trip, with the last trip leaving the city at around 5pm. Of course, the fastest way to get to Uyuni is by plane. Amazonas and BOA run daily flights from La Paz to Uyuni. Check the respective websites for the latest schedule and flight availability. How do I get to the Uyuni Salt Flats? The Uyuni Salt Flats are located at least an hour away from Uyuni town. Most operators offer several package tours catering to various budgets, from one day trips to the salt flats to four day expeditions deep into the semi-desert further south. While Uyuni is filled with tour agencies at every corner, it is important to engage a reliable guide in this remote and potentially dangerous territory. Three operators are well-regarded here – Red Planet Expeditions, Quecha Connection and Perla de Bolivia. For this trip, I followed Red Planet Expeditions for a three-day trip, and was very impressed with the experience and their guides. My guide (on the right) and vehicle for the next 3 days. The guy on the left is a fellow traveller. And no, he did not grow his beard so long in just 3 days out here. On the first day, you’ll head out just after 10am to visit the train graveyard right outside Uyuni. In its heyday, Uyuni served an important town at the crossroads of the trade route between Bolivia and Chile. Today, this graveyard is a reminder of the days when locomotive power brought wealth and prosperity to this unassuming town. After spending half an hour clambering up rusted train carriages and posing over tracks, you’ll carry on and reach the edges of the salt flats. The Uyuni Salt Flats is still actively mined for salt, and you’ll see white mounds littering all around the crystalline ground. As one of the world’s richest lithium deposits, the salt flats is constantly under threat by mining. For now, it’s future is still uncertain. Driving into the salt flats proper, the next checkpoint is the Dakar Rally landmark. Located in the middle of nowhere, you can start getting a sense of the scale and vastness of this otherworldly land. You’ll notice that the salt on the ground are still not arranged in the hexagonal crystalline shape – that will come soon, after a toilet or snack break here. 3-4 hours after the start of the tour, you’ll finally reach the salt flats. With salt crystals crunching under the sole of your feet, you’ll be running back and forth posing for perspective shots. At first, everyone in the group will shyly pose for proper photos… but start bringing out your props and warm the crowd out to pose for crazier photos! Having taken all the effort to come here, it’s easy to spend an hour playing in a featureless desert. But spare some time for the final stop at Isla Incahuasi, which is worth the extra hour drive further in. An island set in the prehistoric lake that dried out to become the salt flats, Isla Incahuasi today stands out of the white expanse like an oasis filled with cacti and hardy plants. It’s a small hill with a walking trail up – as long as you pay an additional entrance fee. Otherwise, you can just play around with more salt around the island, if you haven’t already had enough of it. Doing the one thing everyone has to do here! At the end of the day, your guide take you to a salt hotel to spend the night in a unique setting. All salt hotels must be built outside the salt flats, which might take an hour or more to get out of. This place is really, really, mind-bogglingly huge. The next day, wake up on a salt bed, step into a salt toilet and try not to dissolve the salt floor. Drive futher in, you’ll enter the Siloli Desert and the Eduardo Avaroa National Park. The almost featureless landscape here is pockmarked by a few extinct volcanoes and high altitude lagoons inhabited by flamingoes who have adapted to the mineral-rich waters. The isolation extends for miles in all direction. If you’re feeling bored, you can encourage your driver to floor the accelerator and create a large-scale artwork using tyre tracks on a smooth canvas of sand. Remember to keep an eye on the fuel gauge, though! By midday, you’ll pass the first of three lagoons. As the nearest settlement is at least a few hours drive away, your driver will prepare a hearty picnic by the lake, with fresh food cooked at the salt hotel earlier in the morning. Do tread lightly on the soft mud by the waters, and avoid entering the lagoon, as toxic heavy metals from the mountains and mining operations might be present in the water. With proper medical help hours away even by air, this is not a place to take chances. Towards evening, your group will reach the geothermal region way down south. Never-ending streams of steam billowing out of underground vents indicate that this is still a volcanic area, and you’ll need to exercise caution when exploring the hot springs. You’ll reach the guesthouse near Polques before dark. It’s very remote and you’re likely to be put up in a basic dormitory with your tour group companions, as proper tourism facilities here are few and far between. It’s worth the effort to come all the way out here though, as you get the chance to spend the night soaking in a natural hot springs pool under a blanket of stars. If you’re going on the trip with Red Planet, you’ll likely be given exclusive access to a private hot springs pool, so there’s plenty of space (and hot water) for everyone in the group. This is entirely out in the open, so there’s no staff on duty or fenced up area. When you’ve finally reached your optimum level of comfort, just head back into the guesthouse and retire for the night. On the last day, wake up to a hearty home-cooked meal by the host, and squeeze in one last soak in the hot springs. Departing Polques, you’ll drive past the Dalí Desert and reach Laguna Verde, or the Green Lake. Located at the foot of Volcano Licancabur, the green tint of the lake ranges from turquoise to emerald, and is caused by minerals like arsenic in the sediment. Once again, don’t jump in for a swim here! From here, you can cross the border into Chile, and reach San Pedro by midday via a regular bus service. Otherwise, your driver will head back towards Uyuni, stopping by an interesting place for lunch. If you’re lucky, he might even make a detour to the ‘Secret Canyon’ for a picnic. Just ask about it, and you might be in for an absolute treat if he does make the trip! A lunchtime picnic in a lush valley is an absolute treat! By late afternoon, you’ll return to Uyuni, in time for an early dinner and to catch an overnight bus to your next destination. If you can spare a day, consider staying the night and exploring this interesting town, and take a break from the relentless sightseeing over the past days! How do I get around in Uyuni and the Siloli Desert? You’ll need to rely on the expert guidance of your guide to visit interesting spots like the multicoloured lakes, scenic canyons and even make your way out of the featureless salt flats and desert. Fuel stations and proper roads are rarely seen way down south in this part of Bolivia, so it’s best to leave it to the experts if this is your first time here. Most tour groups use four wheel-drive vehicles to move on sandy desert ground, muddy shores and steep slopes. They’ll also carry along spare fuel cans and bottled water for the ride, so you might want to check and ensure your car is well-equipped for the trip. Where to stay in Uyuni? As the nearest large town for many, many miles, Uyuni has a wide range of guesthouses and hotels. This itinerary assumes you’ll be heading into the salt flats on the day you arrive and depart right after you return. Nevertheless, consider staying a day to explore this interesting town if you can spare the time. On the first day, you’ll probably be staying in a salt hotel located along the outskirts of the Salt Lake. As a protected reserve, no buildings are permitted on the salt flats, with some exceptions like the Dakar Rally landmark. The salt hotel is almost entirely build with blocks of salt, and not in a salt cave as you might imagine. Of course, some facilities simply cannot be made with salt, so rest assured the taps, water pipes, shower facilities and mattress are not salt-based. To encourage guest interaction, some salt hotels have a communal dining hall where you’ll sit side by side with other tourists. If you’re with travelling with backpackers and independent travellers, you can be assured of amazing stories as the night unwinds! A last word of advice – as tempting as it may be, I’d advise not to lick the walls. The damage from your saliva may be minimal, but just imagine… how many other people have made their mark on the same spot over the years? Be warned – the rooms in a salt hotel is very spartan! You’ll be staying in a basic guesthouse on the second day. If you’re thinking private rooms and ensuite toilets, you’ll be sorely disappointed. As Polques is located right in the middle of nowhere, there are no modern infrastructure and sewage system. Hence, all water is pumped from a lake nearby, and all toilet business is disposed the old fashioned way – into a hole to be collected for ‘processing’. The dormitory is laid out with simple beds and thick mattresses. In the high altitude desert, the temperature dips to below freezing at night, so you’ll need all the cold weather protection you can get. On the plus side, this is a big reason why a dip in the outdoor hot springs pool at night is so much more awesome! Outside of the cities, Bolivia is relatively safe if you follow the usual rules about looking after your stuff, travelling in groups and keeping your guard up around strangers. Here are some things to look out for during your time exploring Uyuni and the rest of southern Bolivia. If you’re travelling on an overnight bus (especially the local ones), keep an eye out on your bags always. Keep your valuables in a daypack and secure it to yourself while you sleep. If you need to put your bag in the cargo hold of the bus, try to place it right inside and secure it to a frame. The dry desert climate of Uyuni and the surrounding region will easily dehydrate you. Take along plenty of water, and make sure your car is stocked with at least enough water to last 3 days. At an altitude of 3,600m and above, keeping yourself hydrated is also important to reduce the risk of altitude sickness. I can’t stress this enough, and there are plenty of signs also saying the same thing. The water are toxic with minerals like arsenic, and that’s bad for your health. If you need to go for a soak, you’ll have plenty of time at the hot springs. Where to go after Uyuni? After visiting the salt flats and the desert, you’ll can take the overnight bus back to La Paz on the same day. On most days, this is when the town is abuzz with activity, as local street vendors play the dusty roads and long distance buses warm up the engines for the long rides out of town. To find the right bus, check the latest outbound bus schedule through your tour agency, or visit the tourist information centre in the middle of town right by the clocktower. If you’re up for it, take a bus to Potosí and check out the famous silver mines. You can embark on an adventurous tour with the hardy miners, and watch them going about their daily work seeking their fortune deep in the bowels of the Cerro Rico mountains. Who knows, you might even pay for your entire vacation with a bit of luck! At 1,013 metres, Osmeña Peak is one of Cebu’s highest peaks and is a popular trekking and camping spot for both local and foreign tourists. It offers an amazing vantage point to view the surrounding mountains and sea on both sides, and the sunsets and sunrises are spectacular. Most visitors make a day trip out of Cebu City or Oslob to reach the summit. But spending a night here is an entirely different experience. This guide will explain how to prepare for an overnight camp, and what to expect while spending a night in the Mother Nature’s backyard. Getting there is pretty straightforward, as it first involves a road trip (1.5 to 2 hours from Oslob, 3 to 4 hours from Cebu City) along the coast, turning off at the town of Dalaguete and then up the mountains inland. Stopping off where the road ends, a rocky trail will guide you to a small hut, where you’ll need to pay an entrance fee of 30 Pesos per person. If you’re coming by the Ceres bus serving the Cebu City – Bato route, ask to be stopped at Dalaguete Junction and hire a habal-habal (motorcycle taxi) from there. Before heading to the hut though, enquire at the nearby shops / food stalls about renting a tent for the night. It should cost 400 Pesos, and you should also purchase any additional supplies for the overnight stay. At the very least, purchase 2 liters of water per person and some snacks for dinner and breakfast. A proper hot meal can be a morale booster when camping in the great outdoors. Campers are not allowed to make bonfires, so bring along a gas stove or a solid fuel stove to cook. Oh, and ingredients to cook of course. Alternatively, stop by Dalaguete along the way and buy all the cooked food you’ll need for dinner. Getting whole grilled chicken from the street vendors is highly recommended, and it only costs 200 Pesos. A satisfying dinner of grilled chicken and beer! From the hut, embark on a 20-30 minute easy trek to the top of the mountain. At the hut, you can also hire a guide to show the way, and take awesome photos along the way and at the summit. The recommended price is 200 Pesos for an official guide, or a small tip of between 50 to 100 Pesos if you engage any of the young kids loitering nearby to be your informal guide. Before you complete the final 50m push to the top, you’ll need to set up camp at the nearby campsite. For the novice camper, your guide can help you with the task of selecting a good ground and setting up the tent. Few locals camp on a weekday, so you may be the only tent in the campsite. After the tent is set up and secured, make you way up the peak and join the crowd of other visitors jostling for the best photo-taking spot. As the sun sets over the horizon (and yes, you can literally see the horizon from Osmeña Peak), people will start leaving before the place turns pitch black. Since you’re all prepped up to camp overnight, you can now have the peak all to yourself (and your fellow campers). Soak in the views from all around, and pay attention to the jagged peaks sticking out of the ground in the distance. Very similar in appearance to the famous Chocolate Hills of Bohol, this adds yet another layer to the surreal and starkly beautiful landscape. At night, the temperature will drop dramatically, reaching a low of 16°C in the middle of the night in March. Wear enough layers and winter wear, or bring along a proper sleeping bag to keep the heat in. Throughout the night, low clouds will roll in and out. If you’re here to stargaze, you’re in luck as the night skies are absolutely amazing. But when it turns foggy, retreat into your tent and hang in there. With luck, the stars will return in an hour or so, or just set your alarm every few hours to check on the visibility conditions outside. You’re more or less on your own at the campsite, and any help will take time to reach you. Stay safe and do not venture up the peak or near the mountain edge in darkness. Do not feed stray dogs in the campsite, unless you want to spend the night with a four-legged companion following you everywhere. Bring a headlamp and free up your hands. You’ll need both of them to hold your plate and eat, and more importantly, to steady yourself while you wipe after doing a Number 1. Don’t throw food out of the tent. You may attract wild animals to come to the campsite. Don’t make a bonfire on the ground. If the nearby bushes catch fire, you may be hauled to the court like these guys. Mark your trail and bring a buddy, if you need to walk out in a fog. If you venture too far, you may lose your way and end up far from the campsite. First rule of climbing mountains: Don’t trek and snap! In Cebu, the sunrise happens before 6am. Set your alarm for 5.30am and start dressing up for a chilly morning. You’ve braved the night in Osmeña Peak, so enjoy your reward of catching the sunrise view all to yourself. As you perch yourself at the lookout point, day visitors will start streaming in. These are the equally determined folks who have woken up at 4am, hired or rented a motorbike to make the trip up the mountains, and made it in time for the sunrise. But no matter… you got here first. As the shades of red and pink melt into white, it’s time to pack up and leave. In 2 hours time, you’ll be launching off rocks and jumping into plunge pools upstream from the Kawasan Falls. Oslob is (in)famous for the whale shark experience, which can get environmentalists really riled up in a hurry. The local fishermen used to hunt migrating whale sharks for their fins and meat. In recent years however, they’ve reinvented themselves as whale shark guardians and tour guides, taking thousands of tourists daily to snorkel or dive with these gentle giants. Over the course of this article, you’ll learn more about booking a seat on the boat out, what to expect when swimming in the sea, and get tips to help make the most of your whale shark experience. This industry is tightly controlled and is centered around the Whale Shark visitor centre in Tanawan, located 9km from Oslob town. The locals work with the police to make sure every visitor pays the standard price (500 Pesos for locals, 1,000 Pesos for foreigners) to swim with the whale sharks. Anyone caught sneaking into the bay without a guide risks a hefty fine and dealing with an angry mob of fishermen. After the entry price, there’s the lucrative add-ons, like underwater camera rentals, flippers, personalised tours etc. Every day at the crack of dawn, visitors start queuing up at the visitor centre before 6am. The worst time to visit is after 8am, when the average wait time extends to 2-3 hours. Amid the flurry of activity and din of confusing instructions, visitors are shuffled between sections, handed over to various official-looking employees, and then on to a quick briefing on what NOT to do when in the water. Basically, you just can’t wear sunscreen or touch the whale sharks, as some of them have started to show signs of skin damage from human contact. From there on, you’ll put on a life vest, collect a tired-looking snorkel kit and herded onto a boat packed to the brim with 10 to 15 people. Despite appearances, this is a well-oiled tourism machinery that runs on a tight ship (pun very much intended). The boatman will paddle 50m out to join over 30 other similar boats, and then the party begins. Each dive session lasts for 30 minutes. After reaching an unoccupied area, the boatman will anchor the boat to a buoy and tell everyone to get into the water. There’ll be a momentarily pause as everyone looks at one another, before the first brave soul steps gingerly into the freezing waters. The rest of the group follows soon after. The whale sharks aren’t hard to spot. A row of fishermen in their own boats nearby will toss chunks of plankton into the water at regular intervals, attracting the whale sharks to swim over. It takes barely a minute before the first squeal of excitement breaks the monotony of concentration. From somewhere far away, a huge silhouette looms forward and breaks the surface with a sinister fin sticking out. An average whale shark grows to 4m in length, which is an impressive sight as it glides past awestruck observers. The boatman will alternate between shouting at overzealous visitors to stay closer to the boat, and helping to take photos underwater. At times, a curious whale shark will swim in the path of tourists, scattering them and leaving a trail of flailing limbs and bubbles in its wake. The half hour passes quickly, and the tourists are quickly gathered back on the boat. Without missing a beat, the boatman steers the boat back to shore, all ready for the next batch of tourists waiting patiently in line. Wear long sleeved rashguard if you have one. Jellyfish are known to swim in the same waters, and visitors do get the occasional painful sting. Stay close to the boat, and always pay attention to where you are. Many tourists will drift away with a slow current, so keep an eye on your boat even as you peer down into the water. Bring your own snorkel kit, if you’re sensitive to hygiene and cleanliness. It’s doubtful that any of these swimming equipment are sterilised before reuse. Don’t force yourself to swim, if you’re uncomfortable being on the water even with a life jacket on. You can choose to stay on the boat and observe for a smaller fee (300 Pesos for locals, 600 Pesos for foreigners). Many environmental protection groups decry the abuse of the whale sharks, and are petitioning for the authorities to reduce heavy tourism footprint in this activity. Part of the reason is that by keeping the whale sharks in the bay and feeding them, they are disrupting the migratory patterns that help these animals regulate their mating cycles. Far from maintaining an authentic wildlife experience, the whale sharks are now trapped in a virtual cage in an open air zoo. Another contentious issue is the impact of having thousands of tourists appear before these shy creatures daily. Besides the stress on these animals, the whale sharks have also shown sign of skin disease from skin contact and chemicals in the waters. To reduce the risk of further damage, the whale shark visitor center a limit on the number of visitors daily. Many people are calling for a boycott on visiting Oslob, and to visit Donsol instead for an authentic and ethical whale shark diving experience. In Donsol, local guides need to seek out whale sharks, and are not allowed to encourage them to stay in the area. The trade-off, of course, is that sightings are not guaranteed. If you’re keen to check this out, check out this 10-day itinerary in Luzon instead. The dive resorts in Tanawan are more expensive than those in Oslob town, due in no small part to its close proximity to the whale shark visitor centre. If you can wake up early and find a habal-habal or motorcycle taxi (50 Pesos each way, 10-15 mins drive) to the visitor centre, you can save a fair bit on accommodation. If you’re just heading into Oslob as a day trip, you can keep your bags and personal belongings in any of the dive resorts for 100 Pesos per person. This package includes a locker, baggage storage, shower facilities, transport to the whale shark visitor centre and a resort staff to facilitate the whole process. If you’re not keen on figuring out everything or are tight on time, this is a relatively inexpensive option to consider. There’s also plenty of shops and guesthouses renting scooters at 700 Pesos per day. Gasoline is also very affordable in the Philippines, so you can save a lot on transport if you ride along the coastal road along Oslob on your own scooter. Where should I stay in Oslob? There is a wide range of hotels and guesthouses in Oslob, catering to varying budgets and tolerance for cleanliness. Many enterprising locals have also converted their landed homes into guesthouses, opening up one or two bedrooms for tourists. Oslob is really small, and the only 7-Eleven in town serves as the de-facto town centre. This is where local kids hang out after school and tourists shop for cheap and familiar food. Outside, habal-habal and tricycle drivers hang out waiting for customers. Some cities are centred around mega-malls. Oslob is centred around a 7-Eleven. For a very affordable place to put up at, Castro Verde is run by a couple of chaps looking to get in on the tourism trade. A basic room with a bed and a fan costs 600 Pesos per night, and you can rent a motorbike or scooter for 700 Pesos a day. The place is also located right smack in the middle of town though, and just 3 minutes from the 7-Eleven. You’ll need to manage your expectations though – this place really looks like someone’s home, and the room can be truthfully be described as spartan. If you rather stay in a proper tourist-friendly place, check out these guesthouses and hotels deals currently on Booking.com. Oslob is also the best place to base yourself at, since there’s more shops, restaurants and places to see in town. If you prefer to be where the main action is at though, a dive resort in Tanawan is your best bet. Aaron’s Beach Resort is located just a stone’s throw away from the whale shark visitor centre, and prices start from 1,200 Pesos for a non air-conditioned room. The front desk at Aaron Beach Resort, where you can get everything from whale watching packages to scooter rentals. If you start early enough, your whale shark experience should end by mid morning at the latest. For the rest of the day, you can take a walk in the Oslob heritage district and explore the ruins of an uncompleted Spanish barracks, visit the impressive Catholic church just beside it, and take a slow walk along the fortified coast. The Cuartel. This is an uncompleted building meant to serve as a barracks for Spanish soldiers. Just off the coast, you’ll see Sumilon Island. Famed for its sandbar and gorgeous beach, you’ll need to hire a boat to get there. If you’re going it alone, a boat will cost 1,500 Pesos. To save costs, wait for more tourists to arrive and try to share a ride and split the costs. A Wanderful Sole has a detailed write-up on this. Alternatively, hire a habal-habal driver for 120 Pesos and visit the Tumalog Falls. However for a truly magical (if crowded) experience, you’ll want to visit Kawasan Falls, located 1.5 hours away from Oslob by car or motorbike. While you’re at it, squeeze in a visit to Osmeña Peak and see Cebu from a different vantage point. As the highest point on the island, you can be assured of gorgeous views… as long as the weather holds. There’s more to Oslob than just whale sharks, so plan ahead and make the most of your trip here! Sandwiched between India and China, Nepal lies right in the path of the mighty Himalayas. A favourite destination for extreme mountaineers and Buddhist pilgrims, this country has something for anyone looking for a spot of peace or an unforgettable once-in-a-lifetime adventure. Well, thankfully the Everest Base Camp trek is nothing like it. Nevertheless, it still takes some effort to get there. At 5,346m above sea level, the Everest Base Camp is higher than many major peaks elsewhere in the world. In fact, it’s already over the halfway mark to the summit, which currently stands at 8,848m. The trek to the base camp is relatively easy, with no technical mountaineering required. Over the course of 14 days, you’ll trudge on and upwards along an undulating trail from the starting point at Lukla. While all you need is a good pair of hiking boots, you’ll need to be physically fit in order to take on extremely steep slopes for hours on end, and acclimatise to the thinning air. In this guide, you’ll learn more about joining a trek, and find out what to expect over the 2 weeks deep in the mighty Himalayas. Most treks start by engaging a trekking guide, and there are many in Kathmandu, Nepal. A good guide is essential to a safe and uneventful trek, so ask around travel forums on Tripadvisor for recommendations. Prices will also differ between tour agencies, and some might have a scheduled tour that you can join. A reliable agency is Mosaic Adventure, but ask around for multiple quotes for comparison. You also need to purchase comprehensive travel insurance before starting the trek. Many basic insurance plans do not cover trekking above 5,000m and helicopter evacuations, which most tour agencies insist on. After all, a single helicopter evacuation will cost thousands of dollars, a small fortune for the average Nepali. The most important preparation you’ll need is your fitness. Start climbing stairs instead of taking the elevator, and going for long walks in the countryside. Walk from point to point whenever you can, and spend some time working out. On the Everest Base Camp trek, you’ll be trekking up to 8 hours a day in thin air, so you’ll need all the conditioning you can get beforehand. Over the course of 10 days, you’ll climb up the Himalayas from Lukla (2,860m) to the base camp (5,346m). Depending on your pace and fitness, you’ll need to overnight stops in several Sherpa settlements along the way. Your guide will set the pace of the walk, depending on how well you take to the terrain and altitude. There’ll also be plenty of rests in between, to allow you to catch your breath and take photos. Your first point of entry into the Himalayas is Lukla. This town is famed for the hair-raising takeoffs and landings at the short airport runway, which leads out towards a cliff… and then a steep drop-off. Most guided treks start with an early morning flight out of Kathmandu. The 1-hour flight may not take long, but the notoriously finicky weather in Lukla is a constant threat to the best laid plans. It isn’t uncommon to encounter chaotic scenes in the airport, as flights routinely get cancelled over cloud cover or fog. Coming into Lukla, you’ll be introduced to your porter, who will carry your bags for the entire duration of the trek. For their safety, porters are permitted to carry up to 30 kg of baggage, which is shared between 2 trekkers. This means carrying along only the essentials, and leaving bulky equipment like electronics and beauty products behind. After a quick repack, some lunch and a spot of hot tea (you’ll get used to this soon), the trekking group will set off for Phakding. This small village is an easy (hah!) 4 hours away on foot. With a decent beginner’s pace, you’ll get there by late afternoon and in time for dinner. The next day, carry on the trek to Namche Bazaar. Once a trading posts for locals to trade yak cheese and butter for agricultural goods, this place is now unabashedly a tourist town. Namche Bazaar is built around a natural amphitheatre, and is largely made up of guesthouses, cafes and shops. More importantly, this is the first acclimatization stop for most hikers. By spending a day at this altitude, you’ll give your body some time to adjust to the thinning air. Your guide will also suggest a short trek up to an Everest lookout point, which also helps in preparing for the arduous trek ahead. After that, you can spend the rest of the day in one of the many cafes, the town post office, or just exploring this picturesque town. On the 4th day, leave Namche Bazaar and climb the steep slopes up to Tengboche (3,860m). This village is famous for the Tengboche Monastery, an important place of worship for Tibetan Buddhists. Built in 1916, and then rebuilt in 1934 after an earthquake, this monastery has a history stretching over a century. If you’re trekking in November, consider spending a few days to witness the Mani Rimdu festival. A major festival for Sherpas, the entire festival lasts for 19 days. If you’re keen on visiting more Tibetan monasteries and festivals, check out the 7-day itinerary to Ladakh, India! While the climate in Tengboche varies wildly depending on the season and weather, this is where most trekkers start seeing a change in plant varieties. As you head up towards the village of Dingboche, you’ll leave forests of coniferous trees behind and emerge into a rocky landscape dotted by small, hardy shrubs. This is where the treeline ends, and you enter into a semi-desert. From here, you’ll start feeling the scale of the Himalayas, as the vast distances of the mountains stretch out before you. It takes far more effort to make it to Dingboche, as you climb above 4,000m. Rest frequently and carry along some snacks to munch on – at times like this, you won’t quibble over buying a bar of chocolates for USD1. As the shadows of the surrounding mountains start casting their long evening shadows, you’ll reach Dingboche. From afar, the sight of a collection of huts and single-storeyed guest-houses lined up along a well-trodden trail will draw renewed energy to complete the last few kilometers. This is also where you’ll spend another acclimatisation day resting, to prepare for the arduous climb past 5,000m in 2 days time. While Dingboche is a lot less interesting compared to Namche, you’ll probably want to stay indoors anyway. Just like in Namche, your guide will take you for a short hike up the next morning. You can then spend the rest of the day curled up with a book, or play cards until your hands scream for mercy. While there’s no electricity running through the town, solar chargers provide a small trickle of power for illumination and to charge small electronic equipment. On Day 7, set off early in the cold shadows of the surrounding mountains and climb a vertical distance of 500m to Lobuche (4,940m). This stage of the trek is particularly picturesque, as you walk alongside a cliff with 100m drop-off. As you peer down at the valley below, look for the tiny stream that will eventually grow into the raging river that you saw days ago. At this altitude, you’ll notice even less vegetation, with most green-ish life represented as lichens growing on rocks. Also if you hear bells ringing, step lively and move away from the yak train. This high up the mountains, yaks replace donkeys as the pack animal. It’s just too tough for most animals to survive here. Lobuche is the second last stop on the trek to the base camp. While spirits are high in the guesthouse, keep in mind that the final goal still lies a full day’s trek away. Sleep early, drink loads of water and keep your sleeping bag tightly zipped up. Finally, you’ll reach the snow-line and into the alpine tundra. Too cold for most animals and plants, this inhospitable ecosystem is marked by icy rivers and patches of snow on the ground. Wherever a shadow is cast by a rock, you can be sure that there are ice crystals forming behind it. This is the day you’ll make your grand entrance into the base camp. But before that, you’ll first have to reach the village of Gorak Shep. The name means “dead ravens”, which pretty much sums up what to expect in a settlement that even the hardy Sherpa abandon during the bitter winter months. To do almost everything on the same day, you’ll have to set off early and reach Gorak Shep by lunchtime. After warming your stomach with a hot meal and lots of tea, you’ll just need to carry the essentials for the 2-hour trek to the base camp. The final leg of the trek up to the Everest Base Camp is fraught with even more difficulties. Clambering along a narrow ridge, holding on to dear life as you leapfrog over steep eroded steps, and then later navigating creaking crevasses and trying not to fall in… it’s all in a day’s work for your guide and his merry porters, but a challenge for almost everyone else. Midway through, you’ll reach a signboard with the words “Everest B.C.” It’s nothing much, really, but every visitor needs to take a photo here. You’ll probably do it too, if only to take a break from the endless series of steps. But save some battery power for the base camp itself, which is still some distance away. You’ll know you’re near, once the glacier appears. The Khumbu Icefall is made up of ice and snow, constantly shifting around and seemingly alive. Your guide will need to find a safe route across, as trails come and go with every creaky groan that resonates from deep within. While most of the trek so far has been on an easy path, this is one place where a single slip up can be costly, so stay close and hang in for the final hurrah. Finally, you’ll climb up onto a small plateau, to the welcoming embrace of a thousand prayer flags. All around, tired happy people are hugging each other and taking selfies at every possible angle. Your guide will likely give you a congratulatory handshake, and breathe a sigh of relief inside. Welcome to the Everest Base Camp, you’ve gone and done it! Reaching the Everest Base Camp calls for a major celebration! Altitude sickness is a serious condition that afflicts even most experienced trekker. Without proper acclimatization, you may suffer from headaches, dizziness, fatigue, a lack of appetite and shortness of breath. Given that most people will suffer varying degrees of these symptoms anyway, you’ll need to constantly monitor your condition and avoid over-exerting your body. At its worst, altitude sickness will result in High Altitude Pulmonary Edema (HAPE) or High Altitude Cerebral Edema (HACE). Essentially the leakage of fluids into your lungs (i.e. drowning) or brain (swelling), both of these are life-threatening conditions that require immediate evacuation to a lower altitude. Frostbite is also a major concern, if you’re not well equipped to deal with the cold. Temperatures can fall well below freezing, so bring along thick down jackets, fleece inner jackets and plenty of long johns. For sensitive appendages like toes and fingers, wear heavy gloves and woolen socks. Protect your ears with a beanie, or one of those ear muffs that make you look less like an adventurer and more like a schoolgirl (sorry! I do look forward to your angry letters!). This may be a tad overkill, but a balaclava is awesome to cover your nose. Just be prepared to deal with ice crystals forming over the damp area over time. This is a major trekking endeavour, so wear a good pair of waterproof hiking boots that you’ve worn into. The worst thing is to find out that your boots are too small, and are causing blisters just days into the trek. The second worst thing? A flimsy sole that falls apart right in the middle of nowhere, with the nearest settlement a 3 hour trek away. Some people swear by it, while others think it’s a sleazy ploy. But personally, I sleep in my undies inside my sleeping bag, and it keeps me warmer than sleeping with my jacket on. The theory goes that the bag reflects body heat back, so consider for a moment what a jacket does… Yes, it keeps the heat in, so there’s nothing to reflect back into the bag. Try both techniques on different days, and tell me what you think! Also, there is no such thing as carrying along too few chocolate bars, candies and other snacks. Even if you find yourself running low on supplies, it’s well worth whatever price the storekeeper demands at any of the settlements on the way to the base camp. The trek will wear you down, and you’ll need a morale booster to keep you going. A sugar rush is an elegant and effective solution, as it has proven time and time again. For geeks and androids (woah you’re awesome! ), remember that electricity is limited in the villages along the trek. Even if you have the chance to charge your devices at a guesthouse, it’s going to cost you a small fortune. Instead, take along a few power banks to keep your mobile phone juiced up, and keep all your batteries warm, either wrapped up with your clothes or on your body. If you have a solar cell charger, even better! Hook it up on your daypack and get some charge going while you walk. Lastly, the temperature dips way below freezing during the nights at higher altitudes. Keep everything you want to wear inside your sleeping bag, so you don’t have the uncomfortable experience of throwing on ice-cold clothes. Keep your water bottle inside too, since you’ll want to have a drink in the morning, and use some of it to brush your teeth as well (I learnt that the hard way). If you can’t deal with the hardships of life in the alpine tundra, how about checking out a comfortable stay in a glass igloo in Finland instead? From the looks of it, you have two options – stay on for a few more months and ascent to the top of the world, or take the same route down to Lukla. While the temptation to chicken out and cry for a helicopter is very tantalising, please don’t. It’s not the way an Everest Base Camp trek should end, and you can still take pretty photos on the way down. From Lukla, you have boasting rights for one night as you mingle with newbies in the guesthouse. And maybe plan a beach vacation in Thailand for your next trip. You’ve probably had enough mountains for some time, I reckon. When you return to Lukla, you’ll learn to appreciate everyday things like electricity and heated water. The valve gurgles every few minutes, as freshwater drains out from within the battered inflatable raft. “It’s fine, only out not in”, my guide Mr Chai assures me. I’m unconvinced, looking at the 2 centimeter depth of water collecting along the sides of the raft. Under the scorching heat of the 1pm sun in a cloudless sky, my raft is drifting on a 10-meter wide river in the middle of a jungle in Northern Thailand. There’s no cell reception, no settlement anywhere for 10 kilometers, and no one else but Mr Chai, my travel companion and I. This must be what getting lost and stranded feels like. Just slightly over 3 hours ago, I was driven out of the tourist town of Pai in a rickety truck. After bumping around violently for an hour on dirt tracks, we stopped along a nondescript section of the river Pai. Mr Chai and his friend from Thai Adventure Rafting quickly got to work, inflating the 4m long raft in just under 10 minutes. While at it, they also prepared a dry box to keep my spare clothes for an overnight stay in a jungle camp, and some ingredients and cutlery meant for the next 3 meals deep in the jungle. After a quick safety brief and an outfield toilet break, it was time to go. With a good 5-6 hours of rough waters between us and the camp, there was no time to lose. I grabbed my paddle and sat on the left side of the front row. Behind me, Mr Chai completed a final check and pushed his paddle against the rocks. And with that, off we went! Most travellers are familiar with the 1841 turns that make up the road between Pai and Mae Hong Son. However, for those that get carsick easily, there’s another way to get around this – by getting seasick. As the River Pai twists and turns its way around the same mountains that make the roads so winding, bands of hard and soft rock has eroded into boulders and sand. This creates alternating sections of rapid and smooth-flowing river, the ideal playground for thrill-seeking backpackers. Clinging on to dear life in the middle of a raging series of rapids seems like my kind of fun, so I gleefully signed up for a 2D1N rafting adventure. Depending on the season though, the experience ranges from mildly exciting (in the dry months of December to April) to hair-raising (during the rainy season in May to October). Alas, I was in town in December, which meant the rapids weren’t at its strongest. To make matters worse, garlic farms running alongside the river were draining the river. Mr Chai tells me that he’ll still be able to give me a run for my money though. He does this by navigating to certain spots where the water gets sucked in like a whirlpool behind a boulder. This traps the raft in a strong back-current while water churns all around. Very appropriately, Mr Chai calls it a washing machine. It takes more than a day to reach our first washing machine, at a particularly nasty stretch of rapids. Mr Chai expertly brings the raft past the boulder of interest, and without warning, the raft is suddenly jolted backwards. As water enters the raft and fills up the interior rapidly, we stop paddling and watch our raft just stay… stationary. Like an invisible rope pulling the raft back, the washing machine refused to give us up to the current. In a minute it was over as Mr Chai finally pushed the raft out of the shadow of the boulder. He smiled broadly, glad that his efforts were not in vain. As colour returned to my face, he asked if I’d like to go for more. All overnight rafting expeditions will stop at a jungle camp located deep in the jungle. With no villages or even a fisherman’s hut nearby, this is a world away from the noisy, crowded metropolis of Chiang Mai. Cell phone reception faded out hours ago, and the only source of electricity trickles only from a small solar cell charger. Running water is in abundance, though, as handmade bamboo pipes carry a constant flow from a small stream inland. The jungle camp is manned by a hardy trio of men who have committed to maintaining the camp for months on end. Without the convenience of modern infrastructure and commercial facilities, they live off the land. Every day, these guys head out to catch fresh catfish from the river, or search for wild fruits and vegetables in the jungle behind them. Any other vices, like cigarettes and alcohol, is provided by Mr Chai and other guides who raft in once every few days. For them, Christmas Day comes early each time the familiar sight of tourists on the bright blue rafts approach the shore of the camp. “What happens during a medical emergency?”, I wondered aloud. Mr Chai translates my question to the men, and they collectively laugh softly. A tad nervously, I thought. “So far, everyone’s been fortunate that there’s been nothing like it”, Mr Chai explains. There’s no cell reception, so forget about calling for help. The easiest way would be to get onto the raft and paddle on, through the remaining rapids and until the town of Mae Hong Son. But that’s a day away, at least. Otherwise, the nearest town is a tough 4 hour trek uphill through thick jungle to get to the nearest village, which is a generous description. More accurately, that is a few huts with limited facilities and supplies as well. “The jungle men get their beer from the village, if they’re really craving for it”, he adds. “But tourists… will need the raft.” Which only meant keeping a close eye on snakes and scorpions, even though the place is routinely cleared by the jungle men before new tourists arrive. Before resting, I take a bath in a jungle bathroom. The shower facilities can be described as a tub of murky river water with a small bucket to scoop and dump water over myself. The floor is built on bamboo sloping down, so all water is drained into the stream running towards the river. Even so, the bath is refreshing after a full day’s rafting. Somehow, this water still feels cleaner than some hostels I’ve visited over the years, where only brown rust water run out of groaning taps. It’s murky, but beggars can’t be choosers eh? At night, everyone sits at a long dining table in almost pitch darkness and Mr Chai and the jungle men trade jovial banter. Two large candles provide the only illumination there, while the glowing embers of the once roaring campfire tell us where not to step into. The four gentlemen have whipped up a feast fit for royalty, and my friend and I are only able to finish a small portion of it. There’s chunks of chicken cooked in green curry, two plates of fresh vegetables and carrots just harvested in the morning, and a tube of sticky banana rice inside a section of bamboo. As we show signs of defeat, a huge platter of fruits is brought forth from the darkness of the cooking table. “Don’t worry”, Mr Chai assures me. “The jungle men don’t waste food. Eat what you can, and they will save the rest for themselves tomorrow.” I’m sure a lot of city folks around the world could do with a stay in this humble place, and learn a thing or two about reducing wastage. The tour itinerary cheerfully sells a soak in some hot springs on the second day. After a cold night wrapped in a sleeping bag, I was all ready to thaw myself. So we set out for another day of rumbling waves on the meandering river, headed towards Mae Hong Son. In my head, I was already imagining what the hot springs would be like. Is it a swimming complex, like the famous Széchenyi Baths in Budapest? Or a deep sulphurous pool with multi colored mineral rocks like those in Yellowstone? After a few hours on the river, Mr Chai stops the boat and drags it to a rocky shore. There’s nothing here, even as my eyes scanned the treeline for any animal or interesting plant. “Can you smell it?”, Mr Chai asks. I can’t at first. But eventually I get a whiff of that characteristic rotten egg scent of sulphur. Mr Chai smiles knowingly, and points to a small opening in the ground. With water seeping out, followed by wisps of steam rising from it, this is the long-anticipated hot spring. Mr Chai gets to work immediately. He takes his paddle and starts shovelling sand, heaping them on top of each other. I help out with my own paddle and slowly, the shape of a raised barrier takes form. There’s no pool in sight, so we’re building a pool for ourselves! Once the dam is sufficiently sturdy, Mr Chai digs deeper to collect more hot water. With the eye of a civil engineer, he also opens a channel at the other end to let water flow out. Slowly, hot water accumulates in a shallow pool. Using an empty dry box, Mr Chai scoops up a load of cold river water and pours it into the pool, instantly cooling it down to the right temperature for a comfortable soak. For the next hour or so, I alternate between lying down in the pool, getting up to dump in more cold water, and dining on a packed lunch of fried rice and a slice of watermelon. Eventually we have to leave, though. With a heavy heart, I break the sand walls and hot spring water gushes into the cold river, returning everything to its natural state. This hot spring took a lot of hard work, but damn it was worth every gram of sand shovelled. Finally after 2 full days of furious paddling and holding on for dear life, I see signs of civilisation. First, garlic farms appear by the river banks. Then I hear the familiar whirl of water pumps. Mr Chai manoeuvres the boat to a pier, and warmly greets his friend waiting by the river bank. At last, we’ve reached the National Park Headquarters just slightly after 4pm. With practised ease, both men carry the dry boxes and rafting equipment out, followed by the raft. I have a bus headed back to Chiang Mai to catch, so Mr Chai urges me to wash up and shower first. Unsurprisingly, the basic shared toilet facility felt like a luxury hotel bathroom after a night in the camp. Packing up in record timing! In less than an hour after disembarking at the pier, the truck is speeding down to the bus station. (Prempracha Transport runs this service, and the last 5pm bus ticket can be bought from the Chiang Mai bus station beforehand). After a hasty handshake and a quick photograph, I throw my backpack into the minivan and bid Mae Hong Son a fond farewell. Alas my time here is too short, but that leaves me with an excuse to revisit this quiet town once again in the near future! If you’re keen to go on this tour, you’ll need to hop on a minivan or bus to Pai. Contact Guy (he’s a cool Frenchman dude who first pioneered this activity here decades ago!) at Thai Adventure Rafting. Send him an email at thairafting@gmail.com, or call ahead at 66 – (0)81 993 9674. 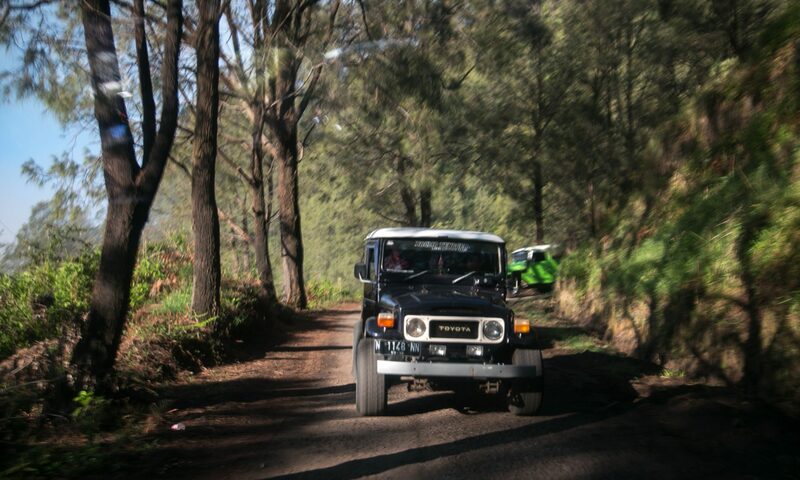 The tour company is well equipped, professional and keenly observes safety procedures. My guide, Mr Chai, is exceptional in his knowledge of the river, and I never felt uneasy at any time. Also, after the tour is over, all his photos taken on his GoPro is available on their YouTube page, unlike some tour operators who insist on earning yet another quick buck by selling photo packages (stares hard at skydiving operators and their expensive videography packages). I stayed in Juno hostel, which is located just 5 minutes away from the walking street. The dorms are clean, with individual curtains and electrical outlets for each bed. There’s also a small table stocked with bread, coffee and water available 24/7. Check here for latest rates and bed availability. After Pai, you can continue your journey to Chiang Rai, or head back south towards Bangkok. Chiang Mai also has several interesting sites to explore just an hour outside the city. Check out my itinerary for spending 2 weeks in Thailand!